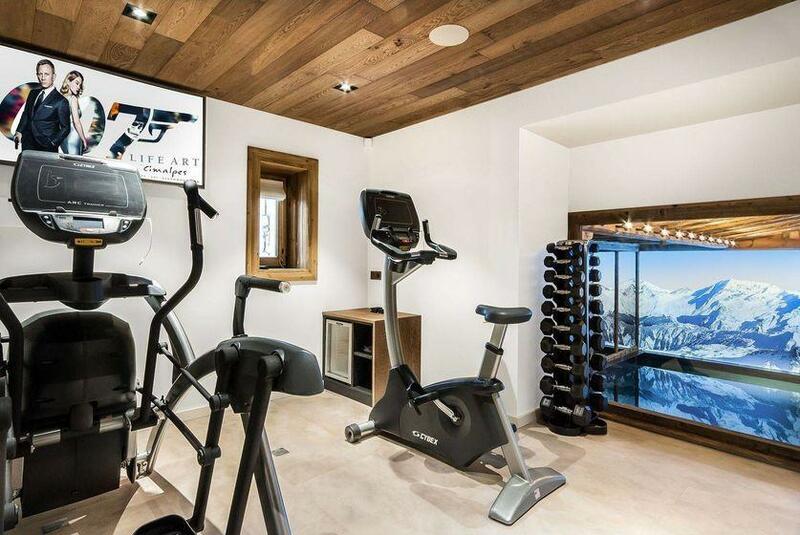 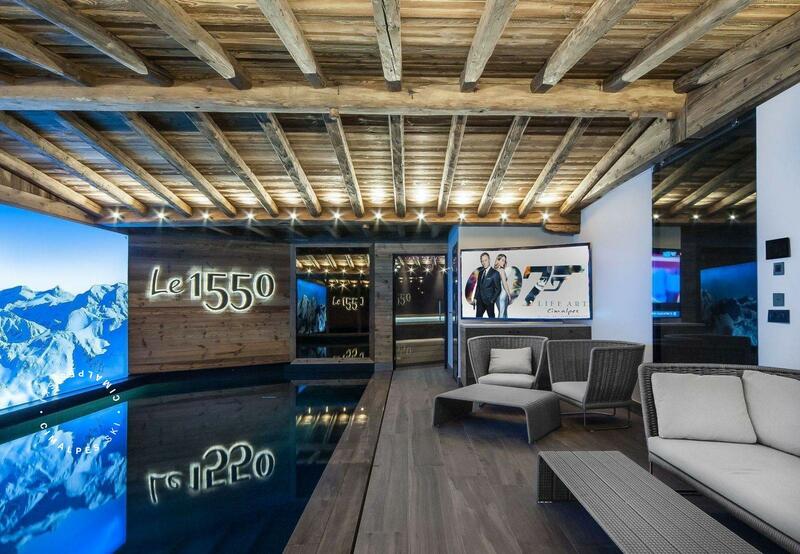 The ultimate luxury chalet Le 1550, located in the residential neighbourhood of Brigues in Courchevel Village, is a perfect balance of authenticity and state of the art. 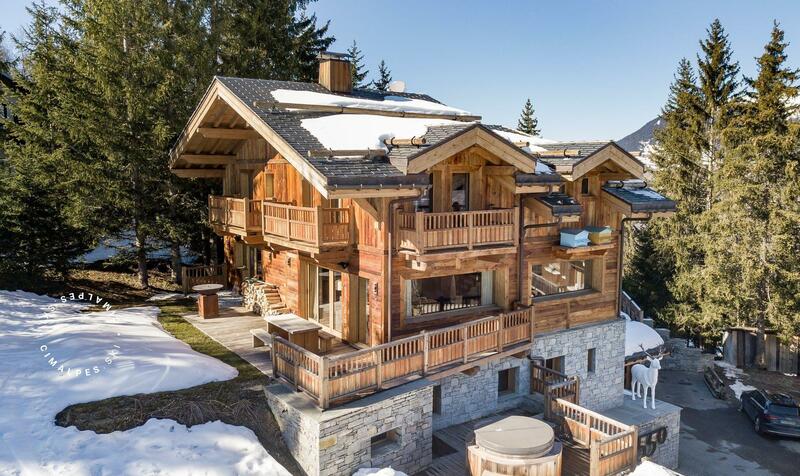 The chalet is a gem of architecture. 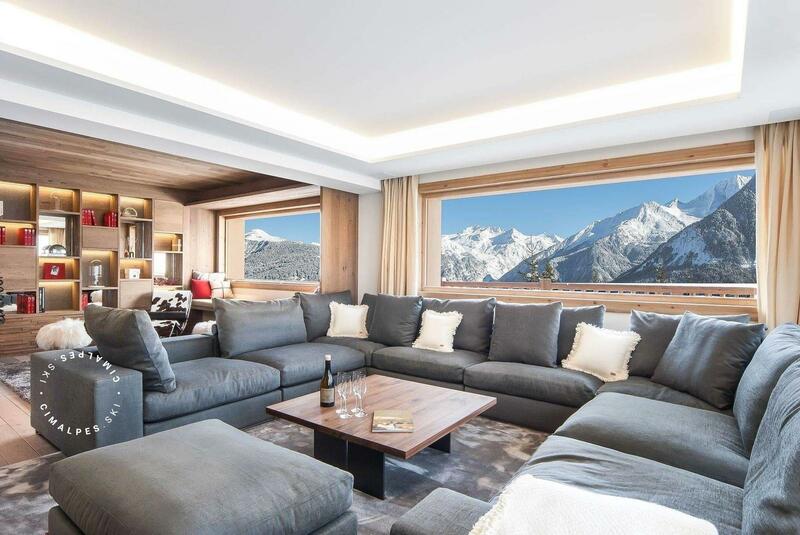 It is the most recent high-end prestigious chalet built at this altitude and joins the very exclusive circle of ultimate luxury chalets in Courchevel. 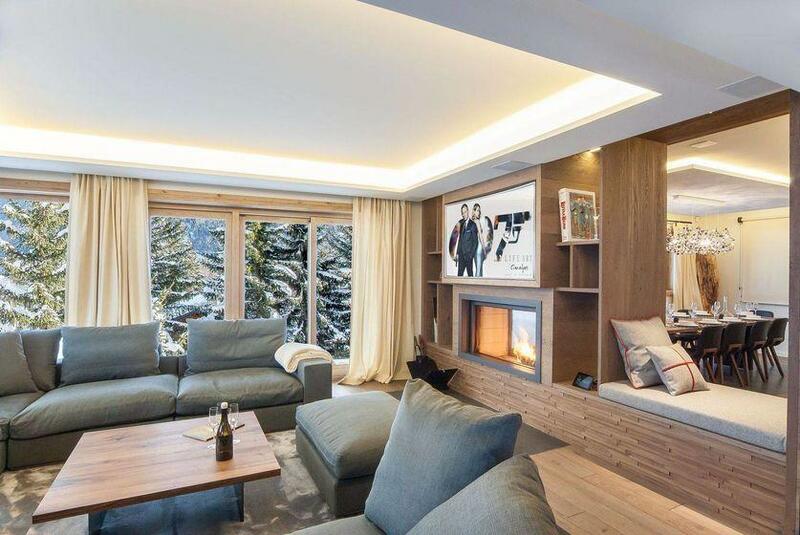 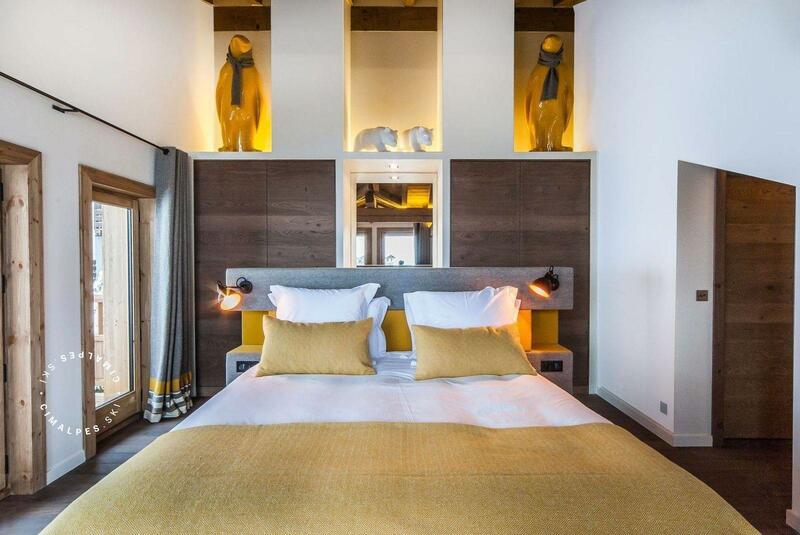 This magnificent chalet results from the partnership between the interior designer Remi Giffon, the prime contractor Benjamin Mauris and the owner, a mountain enthusiast. 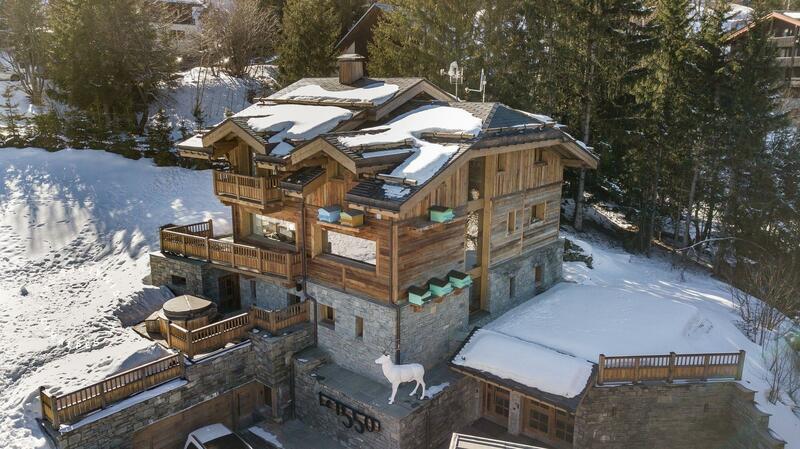 For the three men, this prestigious chalet had to be genuine but young in spirit and family orientated. 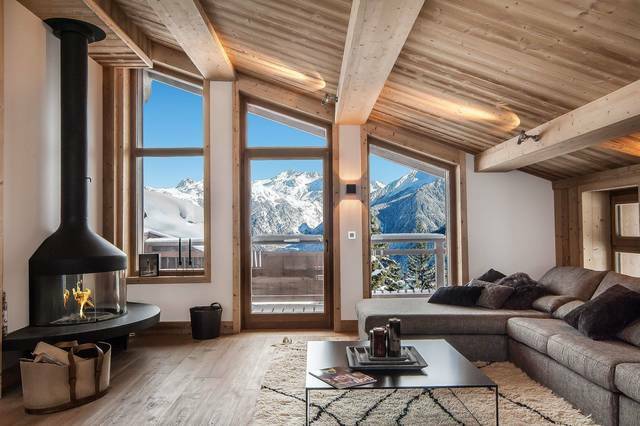 It includes the very active mountain codes when constructing a chalet with the use of noble materials such as wood, stone or glass. 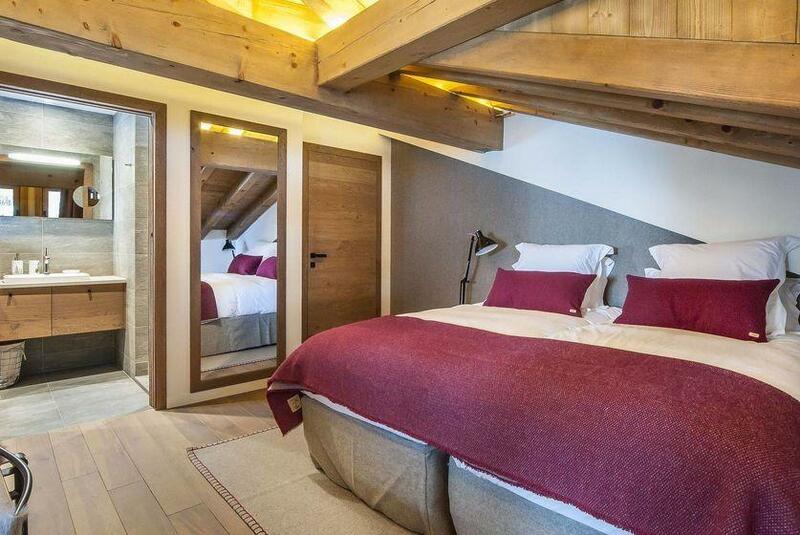 The style is modern, the clean lines and an eye to detail makes its singularity: a single timber, an oak from Jura steamed with colors near walnut tree uphold the floor, walls and ceiling. 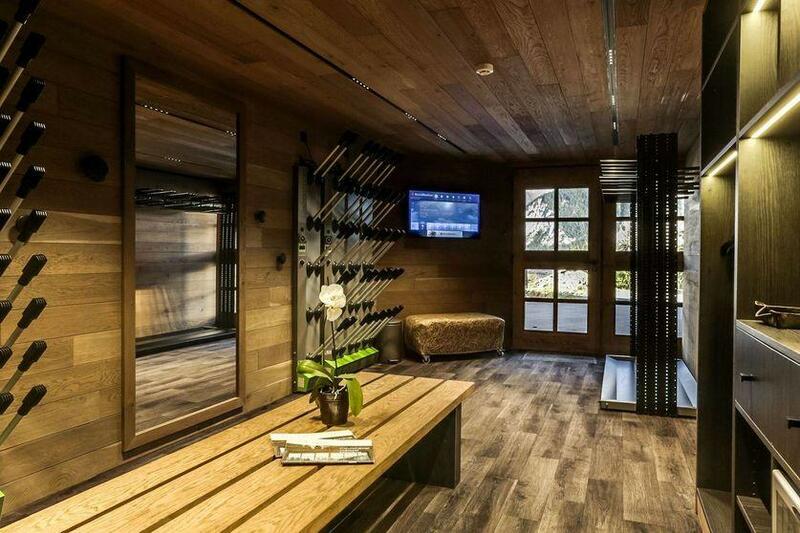 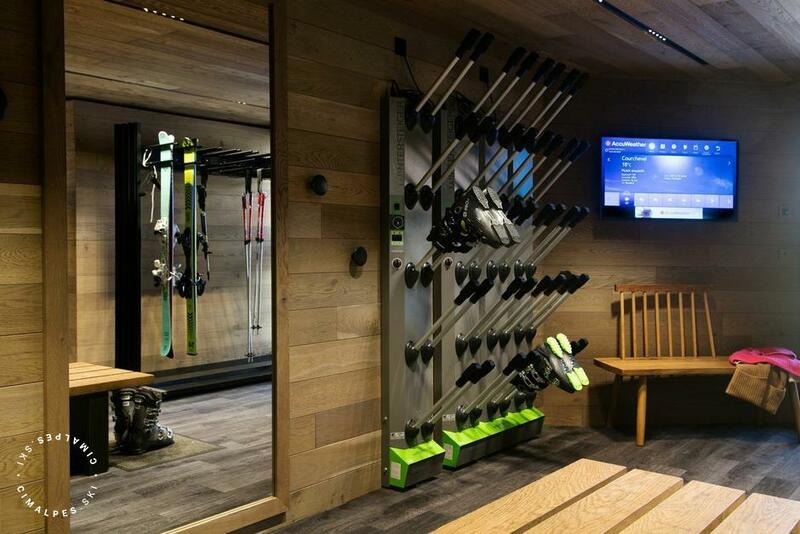 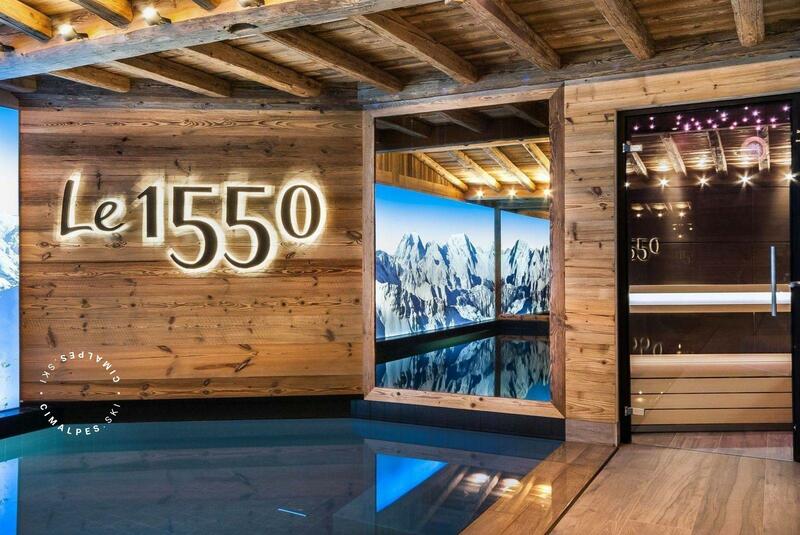 You will enter through a vast hall which opens onto the chic ski-room. 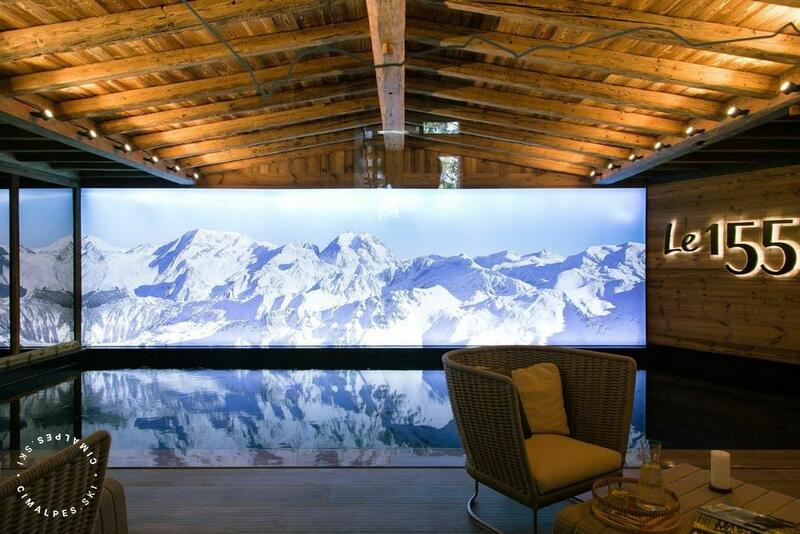 The stairs access to the infinity pool which is probably one of the most spectacular parts of the chalet. 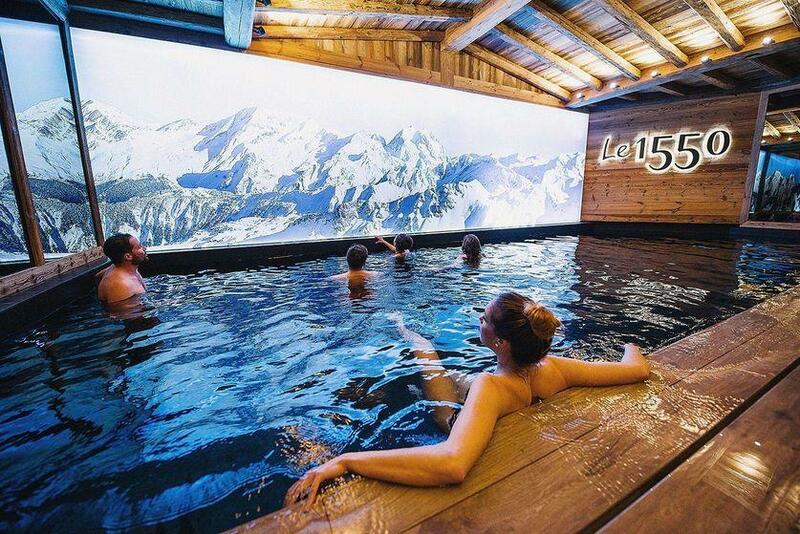 In addition to its generous dimensions - over eleven meters in length - that will delight families, backlit photo of the Vanoise massif reflecting in the water of the pool gives the impression of a bath in the Grande Casse. 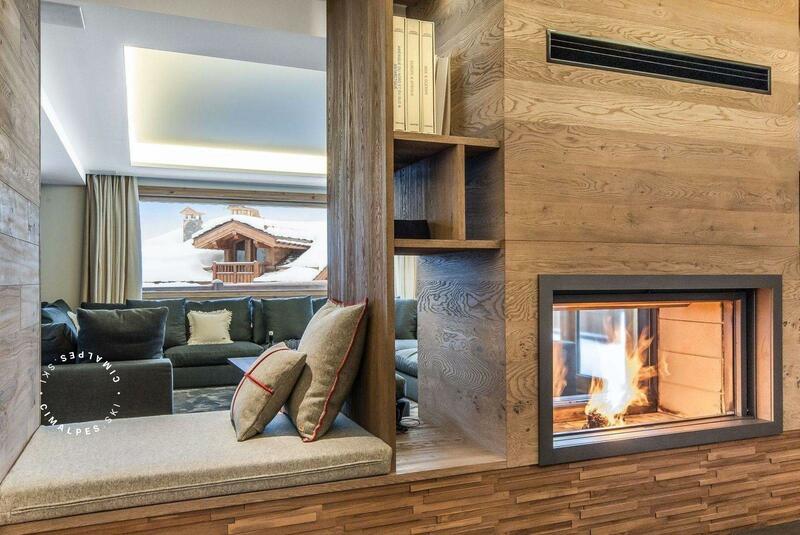 The peculiarity of this achievement is the willingness to frame a breath taking landscape: a central fireplace articulates around the three areas of the living space, the huge horizontal bay window offers the occupants views of the Grand Bec, Mont Jovet, la Dent du Villard and the valley. 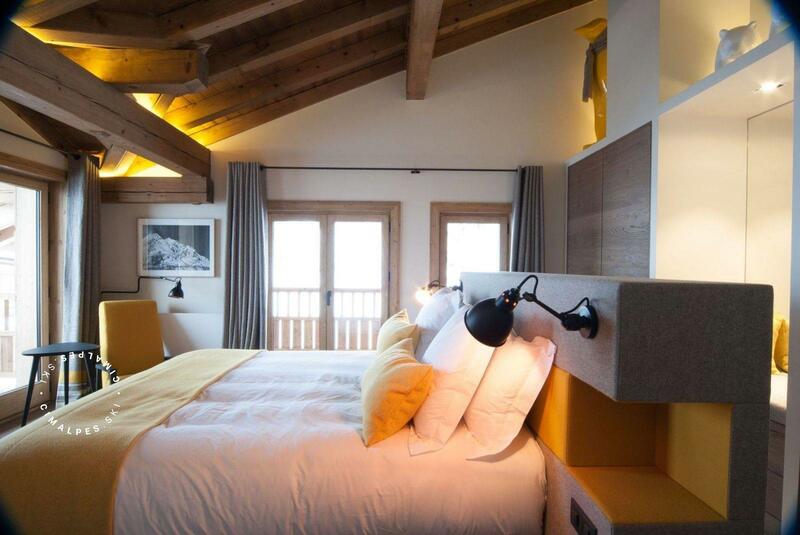 The metal staircase leading to the rooms of the chalet along a vertical canopy over 9 meters high naturally illuminates the different floors. 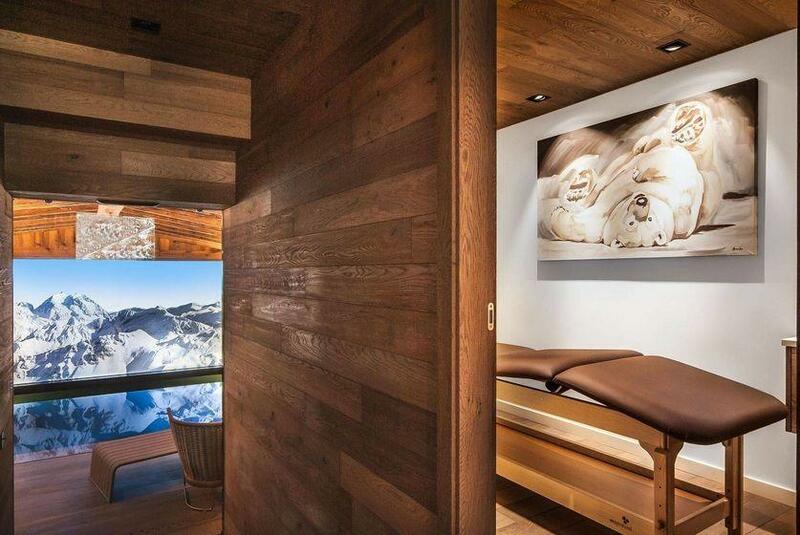 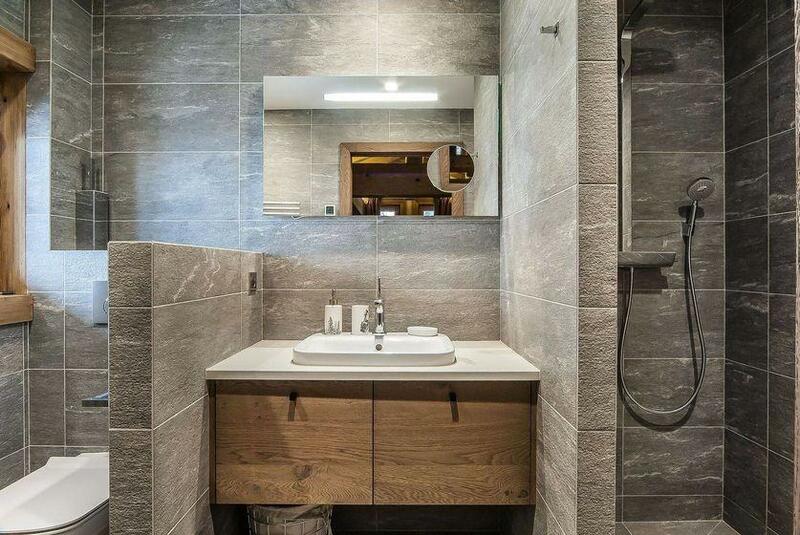 The choice of furniture and materials has been an important factor in achieving this ultimate luxury chalet. 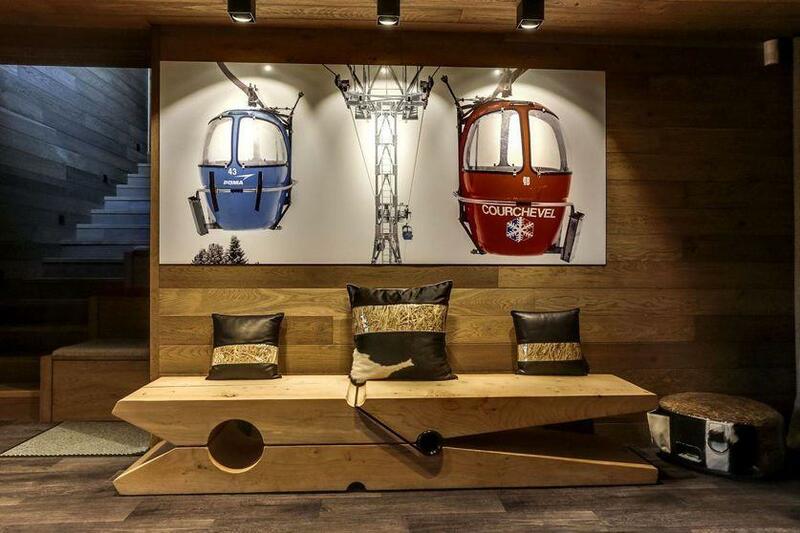 The decoration and interior design LILIE Store in Courchevel 1850 has mixed the authentic furniture from local designers with a few pieces of major Italian designers like Cassina or the Riva boat manufacturer who designed the furniture of the rooms. 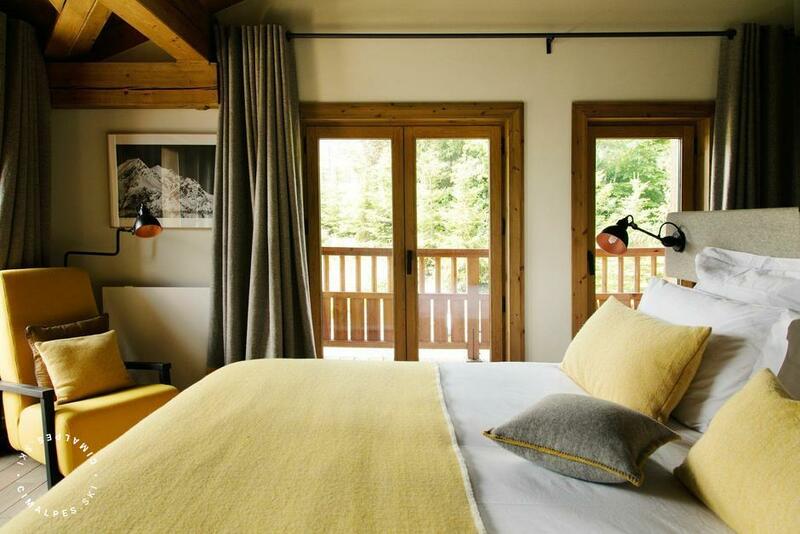 The Bonneval cloth - natural fabric - which made ​​the reputation of the Arpin spining for every room of the chalet and reinforces the friendly and authentic soul of the chic chalet Le 1550. 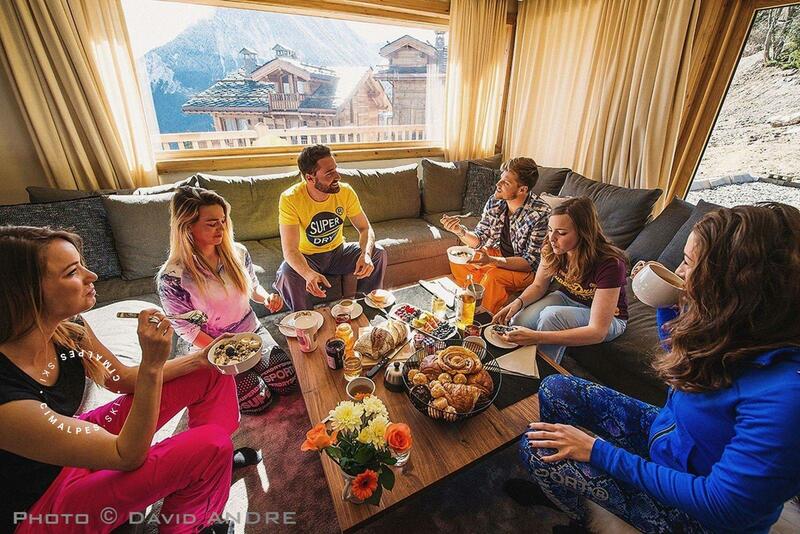 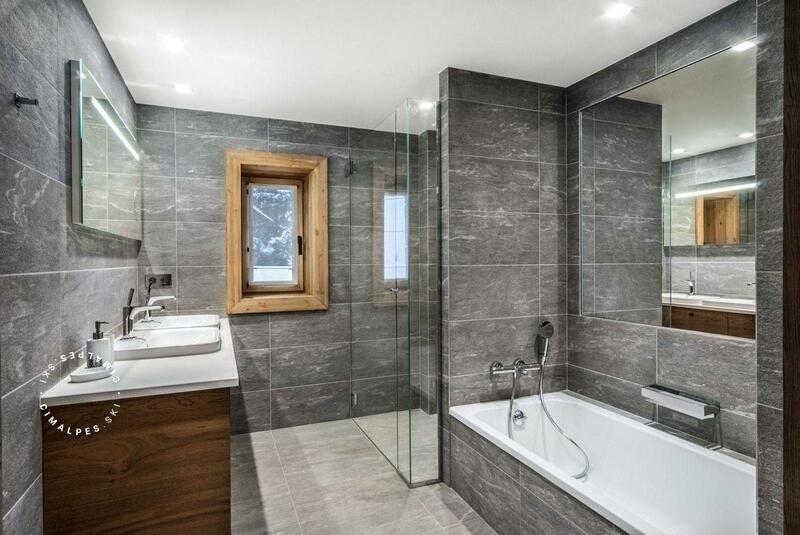 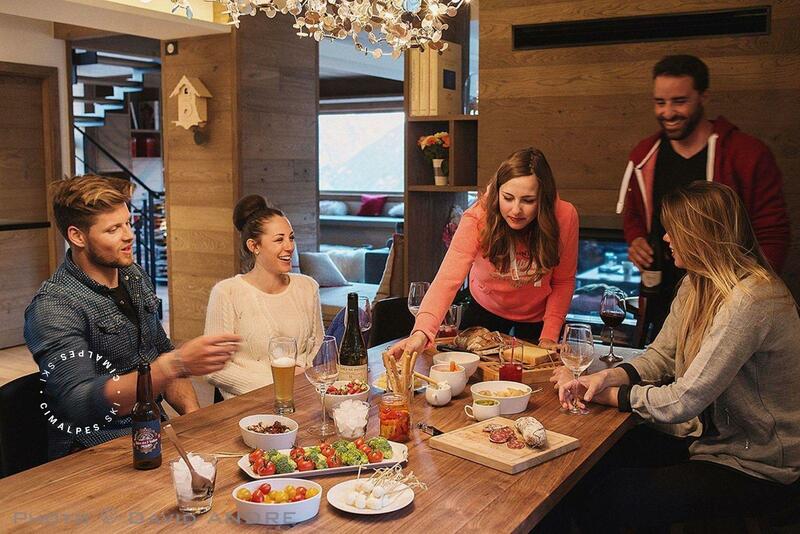 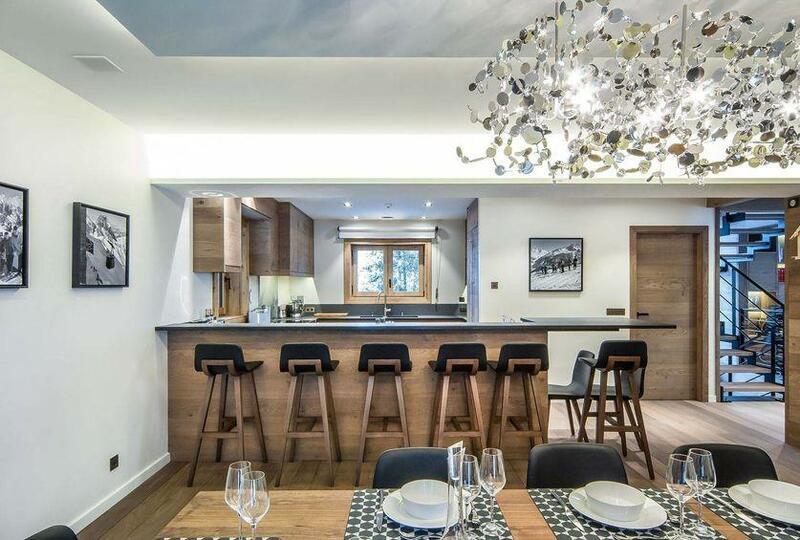 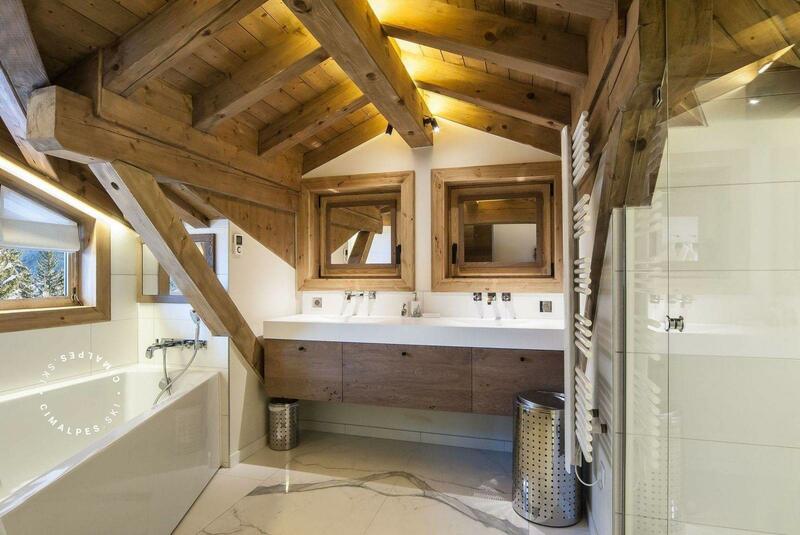 With family or friends, you will love this chic chalet in Courchevel Village. 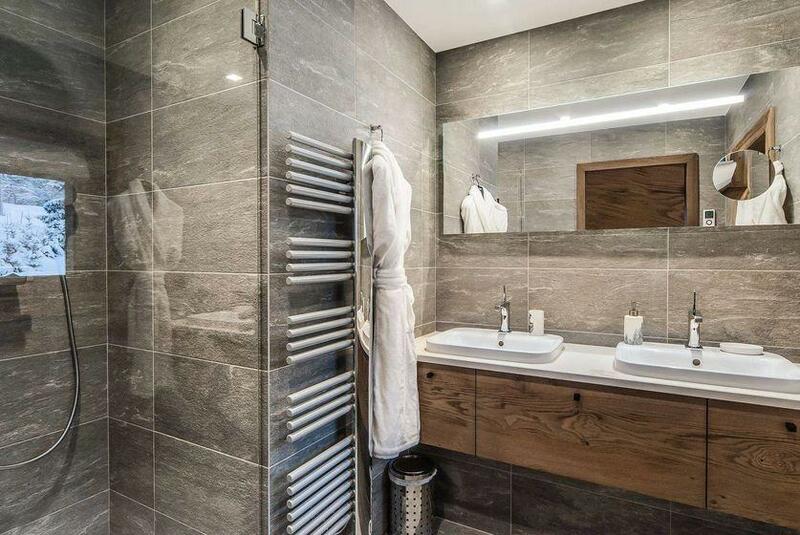 Its high-end amenities, its generous living spaces, exposed sunny terraces facing South and its location gives it its majesty and its unique panoramas. 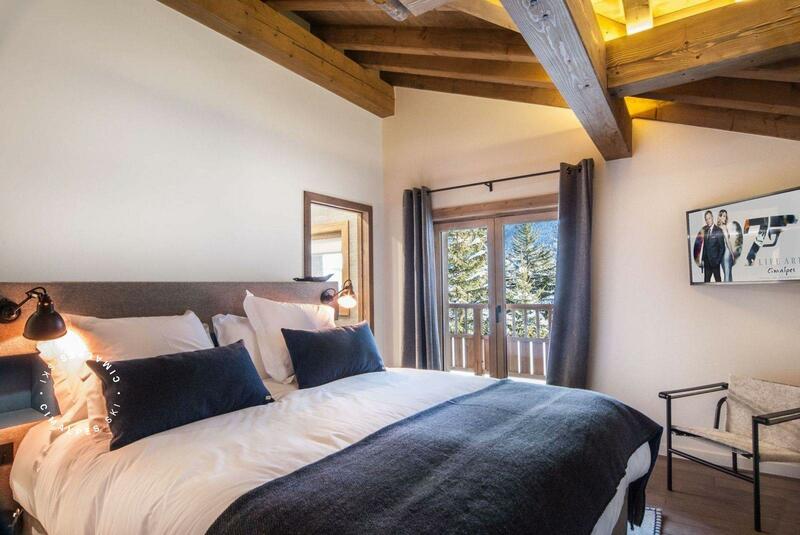 The chalet Le 1550 is located in Courchevel Village (1550), in the upmarket residential area of Brigues. 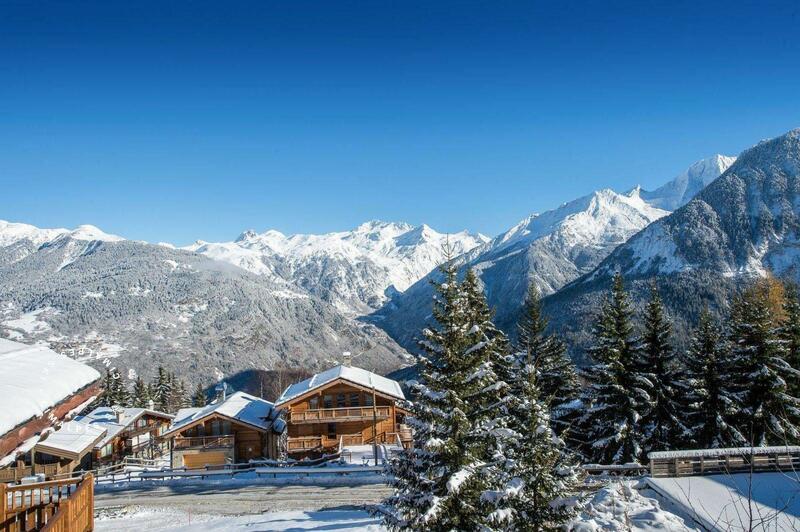 The neighbourhood is located 3 minutes from downtown, between the tracks of Brigues and Plantret which gives it a very easy access to the ski slopes of the 3 Valleys. 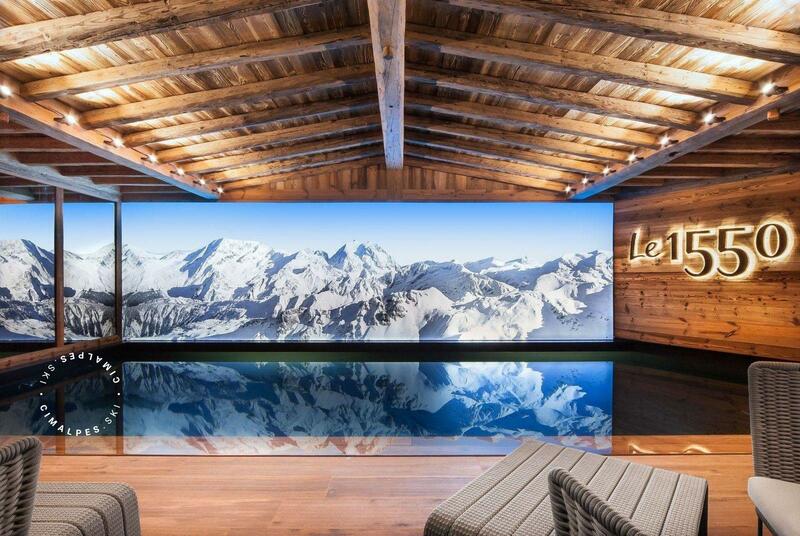 Level 1 provides a sumptuous relaxation area articulated around a 9m20 x 3m40 pool and a superb picture of the summits of Courchevel. 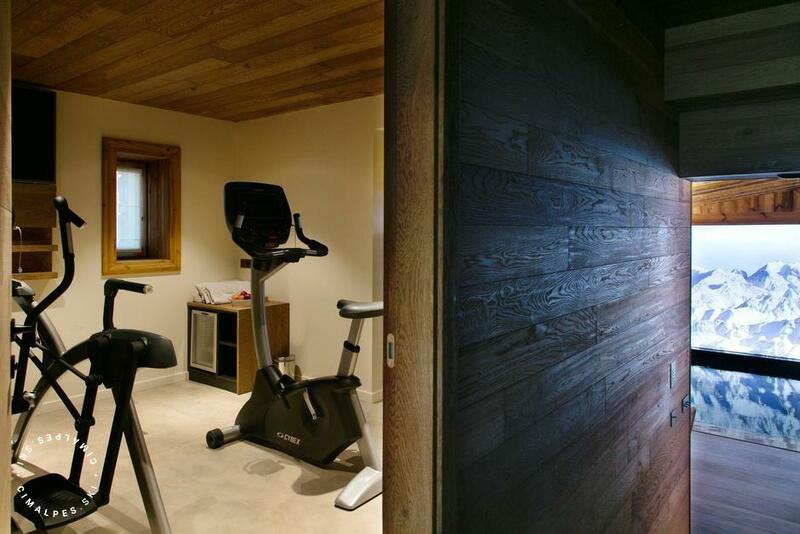 You will find there a steam room, a fitness room, a TV lounge and an outdoor hot tub on an overhanging.terrace. Leisure areas : Level 1 provides a sumptuous relaxation area articulated around a 9m20 x 3m40 pool and a superb picture of the summits of Courchevel. 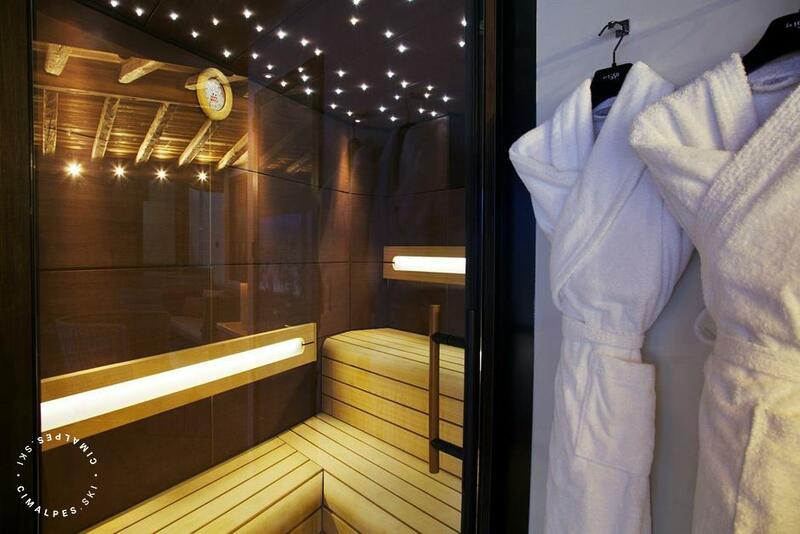 You will find there a steam room, a fitness room, a TV lounge and an outdoor hot tub on an overhanging.terrace. 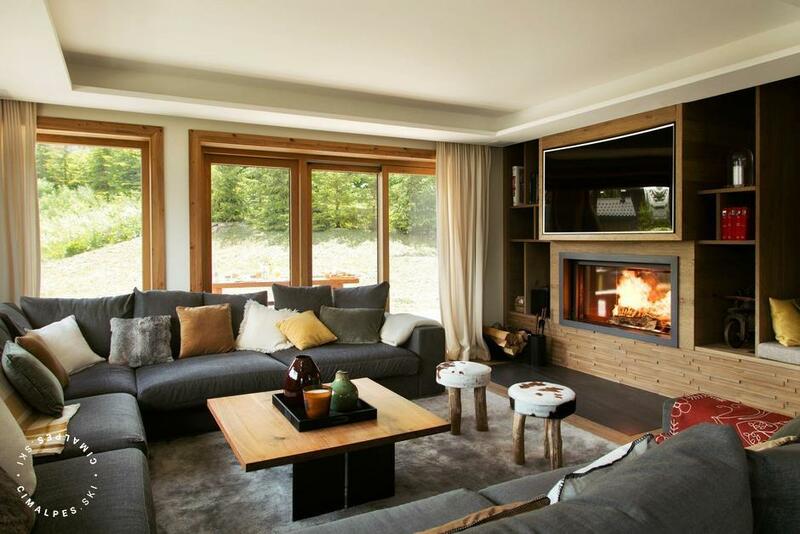 Living area : Superb living area with a dining room, living room with fireplace and an open kitchen: all offering access to a terrace facing South with stunning views .